You don't have to be a barefoot or minimalist runner to have tight calves, but it helps. Like many runners, the first thing I noticed when I transitioned to a forefoot strike was the huge increase in strain on my calf muscles. At the beginning, even a short run up and down the street was enough to leave my lower legs burning for two days. Of course, this is a normal part of the transition period and a big reason why people who switch to barefoot running are told to take it slow at first. After years of heel-striking in conventional shoes, my calves were not accustomed to this type of work and they had to gradually strengthen over time (my knees and back previously took all that strain, which was a catastrophe waiting to happen). I'm happy to say the burning subsided after a few weeks and ever since then I've been able to maintain a forefoot strike that feels good. I do, however, have a persistent problem with tightness and knots in my calves after a run. This wasn't a serious issue when my runs were short, but now that I'm consistently running above the 10 mile mark it's becoming more of a concern. The last thing I need right before my marathon is a serious calf injury. 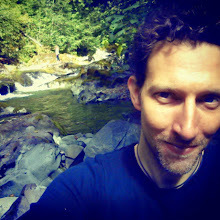 There is a lot of information in the webiverse about how to prevent knots from forming in the first place, and this includes stretching techniques, nutrition, ice baths, salt baths, leg compression sleeves, building up other muscles to balance the strain, acupuncture, dealing with stress, aligning your bed to face the moon on Saturn's return, etc. I hope to research it more someday, but right now I'm just focusing on what I see as the most practical and immediate form of treatment that can be done at home: self massage. To understand what a knot is, it is important to distinguish the normal physiology of muscles. Most of the time, our muscles operate in an on/off manner. That means the muscles that get sore and fatigue easily, the fast twitch fibers (the white meat as opposed to dark meat) that enable us to perform rapid, intense movements of short duration like weight training or throwing a ball are not always at work. They fire or contract during exertion but when the exertion is completed they quit firing. It is when they continue to fire or contract without releasing that a spasm or muscle knot forms. So how does this occur? A fatigable muscle in spasm contains individual sections within the muscle that constrict and pull from both sides. This makes a taut band of muscle essentially forming what is known as a knot. Yep, that's what it feels like. Why Would I Want to Massage this Taut Band of Muscle Essentially Forming What is Known as a Knot? The explanation I've heard my whole life, and from the physical therapist at my running workshop, is that pressure from a massage will physically break up the tight band of muscle fibers and help them return to their normal state. I think it's worth noting that I also came across a theory that says applying pressure to the knot will literally starve it to death. Massage pressure prevenst blood from delivering oxygen to the spasm. When it looses oxygen, it looses strength, stops spasming and relaxes back to its normal state. Releasing pressure then allows fresh nutrient-rich blood to flow into the now-looser muscle and start the healing process. Mabye it's one, maybe it's both. Either way, massage helps. The good news about massaging your calves is that it is very easy to do and does not take a lot of time. The bad news is that the most popular massage tools seem to be grossly overpriced. Either that, or I'm just cheap. Regardless, I do consider my health and running ability to be a high priority so I splurged on some of the trendy gadgets. Here's a breakdown of how to use them and what I thought of them. Only massage your muscles when they're relaxed. No need to overdue it. 30-60 seconds of pressure at a time for each muscle seems to give optimal effects. Expect pain. If it doesn't hurt, you're not doing it right. Studies disagree on when it's best to massage your muscles. Some say immediately after a run, others say you should wait a couple hours. Personally, I find massaging a couple hours after a run and on rest days works well. I didn't even know these things existed three years ago, but they're everywhere now. Some even look high-tech with hollow insides and ribbed patterns that are probably patented with space-age technology (which may explain why they cost so much). The idea is pretty simple: get on the floor with the roller under whatever muscle hurts and start rolling. It helps to go slow and even sit still with pressure on a tight area for 30 seconds or so. You can also try moving your foot in different directions while the pressure is on your knot to see if it feels different. Remember: it should hurt, but not unbearably. I find foam rollers to be very useful and effective. They're simple and versatile, and there are a million free videos online showing how to use them to massage every part of your body. They're definitely easy to find and are now staples in any sporting goods or department store. The price does bother me, though. Seriously, why does a piece of foam cost $30 or more? My advice is to ignore the fancy space-aged grooved ones because the cheaper plain, simple rollers work great. If you're on the road for your race then foam rollers are not easy to travel with, but I've found it useful to keep one handy at home. I first heard of The Stick a little over a year ago when I was googling, of all things, how to massage tight muscles. When I began hearing mention of this magical healing "stick" on forums I thought it was some kind of inside joke and I just wanted someone to tell me the brand name of this mystery tool so I could look it up. It wasn't until I went to a Shamrock Fitness Fair in Portland and saw a vendor booth for The Stick that it finally clicked. I'm still not sure if it's a brilliant marketing name or just really confusing to outsiders. Either way, this thing has gained a lot of popularity with runners and physical therapists in recent years. 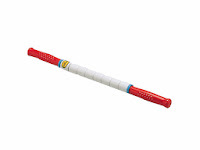 If you're not familiar with The Stick then think of it as a plastic rolling pin for your muscles. It comes in a variety of lengths and levels of firmness/flexibility. A collection of spinning cylinders between two handles keep it rolling smoothly up and down your legs, or whatever you're massaging. Like foam rollers, there are videos of people using The Stick to massage arms, back, neck... you name it. 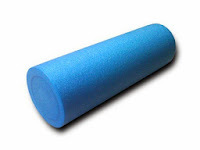 And like foam rollers, it isn't rocket science: take a handle in each hand and roll hard and slow over your knots, pausing and holding for 30 seconds or so when you hit a sweet spot of pain. The stick is indeed versatile, and if you're traveling then it's easier to throw in a bag than a foam roller. I opted for the shortest and firmest version, called Travel Stick (17" long). Since I just wanted to use it on my calves I didn't see any point in getting the longer, more expensive models. After all, I am cheap. And yes, at $27.50 I think this piece of plastic was also grossly overpriced... and they go up to $53.95 for the longest 30" model. Price aside, I have one other complaint: I found it tougher to get as much pressure on my knots by pushing The Stick with my hands than by just lying on a foam roller and letting gravity do it's thing. The Stick makes it easier to isolate a specific spot, but for a deeper massage I found it difficult and inconvenient, especially with all the excess work on my arms and wrists. I should add that even though I've never heard of it happening before, I wonder how much pressure this thing will take before it just snaps into pieces. I played lacrosse for a couple years in high school. It's true. And it wasn't my proudest moment. Let's just say I was the only senior who never played varsity and the only midfielder who never scored a point. I was a pro at keeping the bench warm, though. Fortunately, those lacrosse balls are now finding a new and more practical purpose in my life. When I was taking my minimalist running workshop last spring, I spoke to physical therapist Sanatan Golden about the tightness I was starting to feel in my calves. I had already done a little massaging with foam rollers and The Stick, but was curious if he had any other suggestions. Without hesitation, he said "Try a lacrosse ball." I did just that, and used it like a foam roller by sitting on the ground and rolling it under the knots in my legs. I always thought foam rollers were the worst pain I could inflict on a knot, but that tiny yellow ball brought the pain threshold up to 11. The good news is that I noticed results very quickly. That hard little ball really nailed the tight muscles. It's only 2.5" wide, so even easier to throw into a bag than The Stick. It also doesn't have any parts that can break or rip apart (without metal tools). And get this—I'm not even going to complain about the price! I can get them for $3 at the cheap sporting goods store down the street. The simplest solutions are often the best, right? 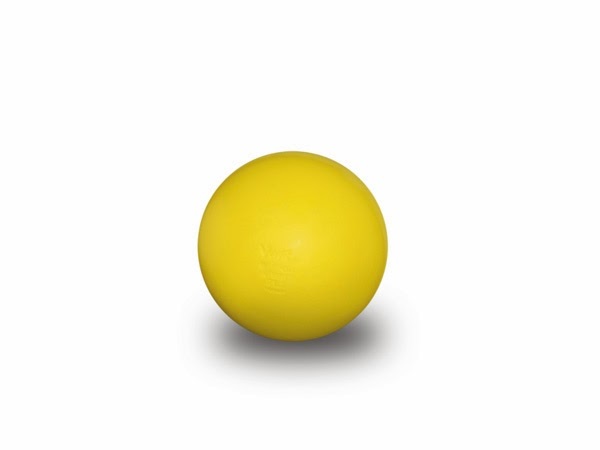 There is one thing that I found inconvenient about the lacrosse ball: while it's great for targeting a specific spot, I do appreciate how foam rollers cover more area more easily. I frequently use my hand to adjust the position of the lacross ball under my leg. Incidentally, if you find the lacrosse ball to be too hard and painful then you can start with a tennis ball and work your way up if you get used to it. That about sums it up. I tend to fluctuate between the foam roller and lacrosse ball these days—the former for a nice, general calf massage and the latter to target the tough spots—and they seem to work as long as I keep up with it. Occasionally I'll pull out The Stick, but I'm really not much of a fan and don't understand all the hype around it when there are cheaper, easier and more effective solutions. We're all different, though, so maybe it works better for other people. I'll definitely be tossing my lacrosse ball into my suitcase when I fly to my marathon. Do you have any tips or any tools of torture of your own? If so, I'd love to hear about them. Great site and informative article. I like your ideas and would also like to suggest that I’ve found my muscles are most relaxed in the morning after sleep. I am currently dealing with peroneal tendonitis and in order to treat this injury properly it helps if you ensure that your calf muscles are normal/without knots. 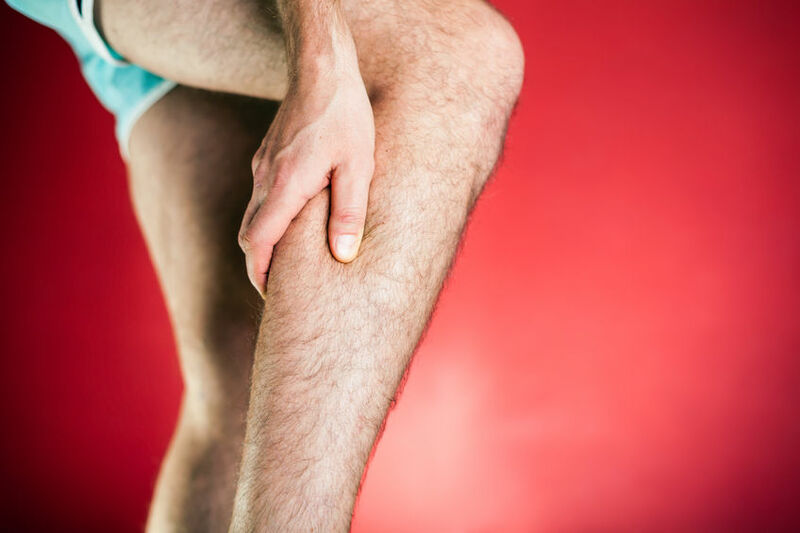 After having a warm shower in the morning, I apply some heat cream to the calf muscle and begin with a gentle massage to warm the muscle then I use a rolling pin to work on the deep tissue that is causing problems. Rolling pins are cheap and come in many different sizes; I’d suggest getting two rolling pins, one with a smaller diameter and one with a larger diameter as this helps to target stubborn knots and tight muscles. Thanks!!!! This really helps! Even through I'm only in middle school cross country 2 miles was still burning my muscles I did this before and after both at practice and at meets and this helped me get through the pain and alson help me finish with out it hurting as bad! Thanks again!!! Woohoo! I'm so glad this helped you! The Stick actually can snap. At my state cross country meet a few years ago, one of my teammates had one and my dad, who didn't know what it was, accidentally snapped it. I have had the same stick "marathon stick" for ages and it works awesome and is cheaper than half of the similar sticks out there. As for it snapping, I have never heard of that, I purchased 5 of them for the cross country team I coach 5 years ago and haven't had one snap. 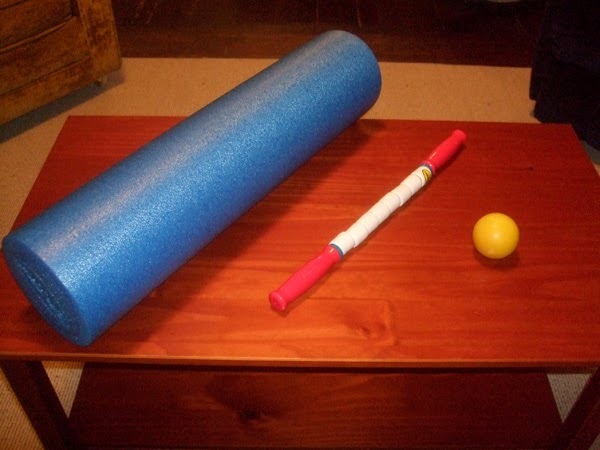 Stick is way better for calves than a foam roller and I don't really like the lacrosse or similar ball on that area. I don't mind the arm workout the stick provides when I am massaging my calves, but if you don't want to use your arms much then try the R8 Roll Recovery (not cheap $120) but it is awesome. I ton of other sticks out there that I do not like near as much are the Tiger Tail, Pro-Tec Roller, Addaday, Trigger Point Grid X, Range Roller, I believe there was another product I tested called the Rumble Roller (not positive on that one), also another product called Trigger Wheel (works great but is just a handle and a wheel not a stick like the rest of these). Still mind blown that someone destroyed a stick unless they ran over it with a car or just went Ken Patera on it. Recovering from a very slow to heal broken tibia, I found my calf to be very tight and painful when walking. I now use a lacrosse ball and had results within a week - amazing. True it is painful at first, especially rolling it on the floor. But it is really convenient, I carry it with me on walks and roll it on my calf using my palm. Thanks for sharing. I agree... lacrosse balls are great if you need a travel-size massage tool! Wooden rolling pin is the best for this in my opinion, want to stay injury free, keep a lacrosse ball and rolling pin in your training bag.. Honestly, after my experience with the Stick I think a wooden rolling pin would be just as effective, and probably a lot cheaper. Thanks for sharing! I use massage star ( blue ), massage cane, massage finger ( all from amazon ). But for calf I use regular plastic 4" spring clamp. I customized tips with grinder and sand paper to make tips smooth. It is very easy to use and works great. The outline above on how to use the 3 torture tools is super helpful. I am a 56 year old woman, have been running for vanity since age 19 and I refuse to quit. Wearing 4-inch heels (I know, I know) is not my friend (actually it is my friend but not when it comes to preventing knots). 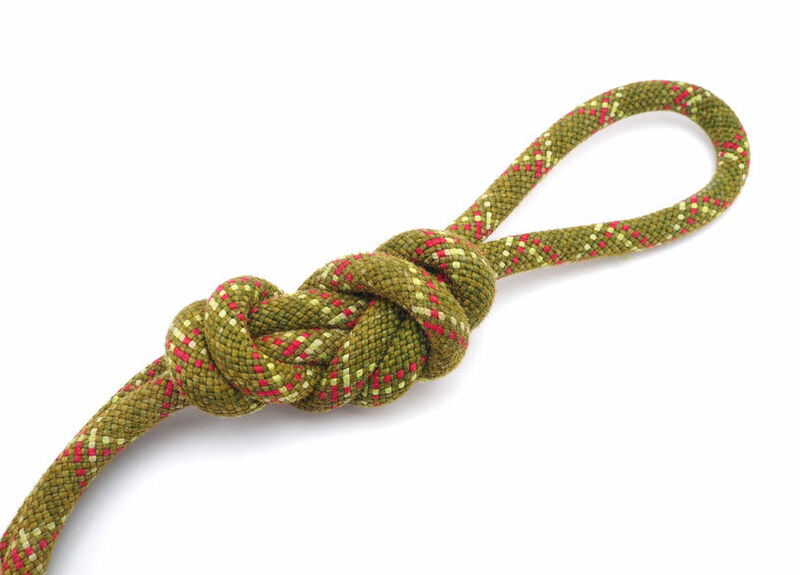 The knots are something I now must work hard to prevent so I use the massage methods daily. What I am unsure of is ... how many days/weeks does it take (generally) to sufficiently break up the knot? Is two weeks realistic or too conservative? Hi Donna. It's hard to say, mostly because there are so many variables at stake. How much you exercise, how much you sit each day and diet can all play a roll. Keep in mind that I'm not a doctor and by no means an expert in this, but in my experience I can see an improvement in most knots after a couple weeks. Knots in my back go away in that time if I massage them regularly, though knots in my legs are much more persistent when I'm running. At that point, it's more an issue of keeping them at bay rather than "curing" them.